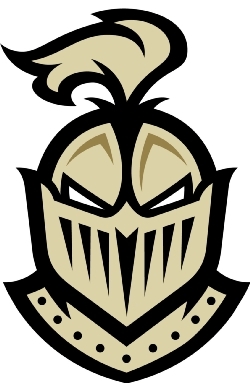 Bishop Montgomery High School offers several opportunities for businesses, organizations, and community members to support either the general athletic fund or specific teams/programs. Companies benefit from association with a local, prominent non-profit educational organization. Bishop Montgomery has approximately 1,000 students each year and over 16,000 alumni. Increase company exposure through print media, banner signage, event acknowledgment, and online exposure. The BMHS website receives approximately 4,000 visits per day. Support for the mission of Bishop Montgomery, which is to provide quality Catholic education primarily to college-bound students of varied academic abilities. Donations may be tax-deductible. BMHS is a 501 (c)(3) organization. Bishop Montgomery offers several levels at which businesses can partner with the school. Below is an explanation of the levels and benefits that come with each level (see .pdf file below for easy-to-read chart). Each year, Bishop Montgomery’s homecoming event and football game is one of the most well-attended and popular celebrations. Prior to the game, BMHS hosts food trucks from around Los Angeles. The event and game is attended by current students, parents, faculty, alumni, and friends of BMHS. The school offers opportunities for corporations, organizations, and community members to purchase a banner for display at all home football, soccer, and/or baseball games. All businesses/corporations/organizations that purchase a banner will also have their company website (and link) on the BMHS athletic website. Several BMHS athletic teams print programs for their seasons (football, girls' volleyball, boys' basketball, girls' basketball, baseball, softball, boys' volleyball) and offer opportunities for corporations, organizations, community members, parents, families, and friends to purchase an ad for the program. Ad sizes and prices vary by sport.